For some strange reason, Peanut’s iphone uploaded old pictures of Sofie Bear, from when she was a puppy, back into a current photo album. 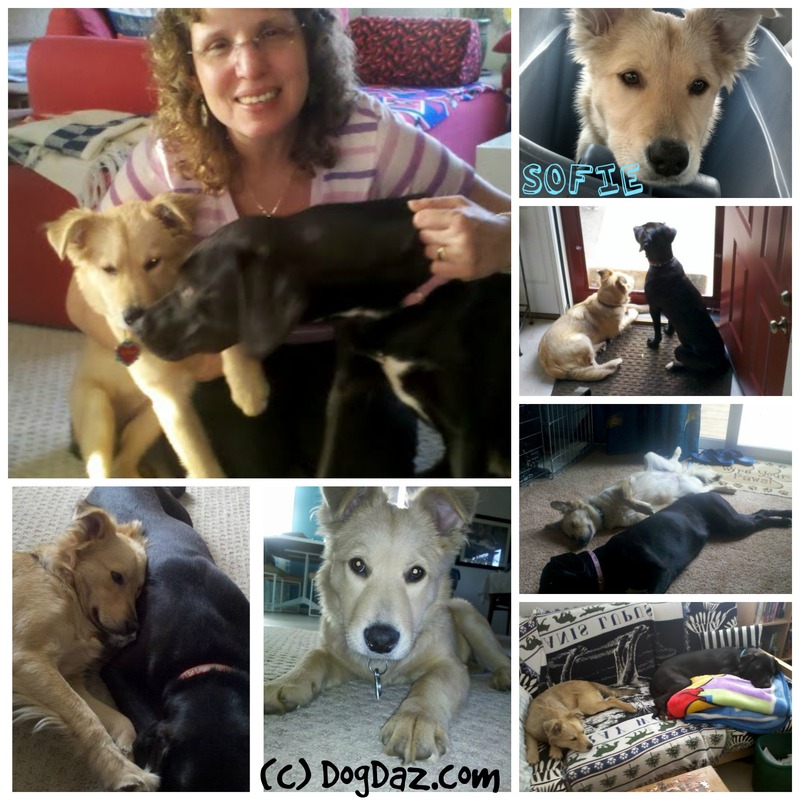 Maybe the phone wanted us to remember those times, so I had her send them to me, and I made this Sofie puppy collage. Sofie was 5 years old last November. She was such a cute pup. It is easy to forget how tiny they were as puppies. The rescue thought she was a collie/shepard and about 12 weeks old, but now that we know she is a sheltie/mischief mix, she might have been a little older for her size. She was still all puppy! I am not so sure Louise knew what to make of this PEST for the first few months. Sofie followed her everywhere and wanted to be next to her or on her. Love love love love. Louise is so patient. With a start like that, you absolutely HAD to grow up to be the cutie that you are, S.
Spring is puppy time. There are a few new ones in the neighborhood. We have to stop ourselves since our youngest critter (Mini) will be 2 the end of the month. Oh my goodness that face! 🙂 I always forget how small Storm was too. I wish I would have taken more pics of her as a pup. Oh well, make up for it now with taking too many of her as an adult! Lol! She was definitely a keeper, no matter how wild she has gotten.